Michael Gray’s Book “Holding the Hand of God” is a Practical Set of Parenting Skills Born of Over Four Decades of Experience Working with Children in Numerous Capacities. Recent release “Holding the Hand of God” from Page Publishing author Michael Gray brings the strengths and values of 45 years of working with children in youth sports into practical use for everyday life. Michael Gray, a parent, coach, mentor, counsellor, and foster parent, has completed his new book “Holding the Hand of God”: a moving, unique and universal array of parenting skills to be used in any area of childcare to help a child become all they can be. Published by New York City-based Page Publishing, Michael Gray’s useful and constructive book will help anyone who has ever loved and helped a child. 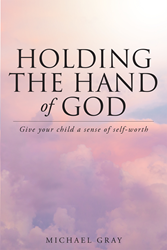 The principles highlighted can be used in any area of child care, and will help the reader discover how giving a child a strong sense of self-worth will leave them with the feeling like they are “Holding the Hand of God”. Readers who wish to experience this inspiring work can purchase “Holding the Hand of God” at bookstores everywhere, or online at the Apple iTunes store, Amazon, Google Play or Barnes and Noble.